Geographically detached from Italy and geologically older, the autonomous region of Sardinia has a distinct story to tell, if you can decipher the secrets gnarled into its stones and the treasures lying beneath its waters. From buried treasure and the unusually long life span of residents to great food and beautiful Mediterranean beaches (on a budget), here are eight of Sardinia’s secrets just waiting to be discovered. Was the Italian island of Sardinia part of the “lost continent” of Atlantis? Some researchers believed it was. Millions of years ago, shifting tectonic plates jiggled Sardinia and Corsica from the tip of Europe, leaving the landmass to drift toward the North African plate and splinter in two. The resulting bumper-car ride around the sea carved out a spectacularly rugged coastline. Sardinia’s rock formations are older, often more crystalline than those found in Italy. The older the region, the more mysterious its past and the imposing “Giants Tombs,” concentrated mainly in the interior of the island, raise many questions. Built from stone slabs that measure up to 30 meters high, these structures were said to be burial chambers built by giants with supernatural powers. If instead they were built by humans, what technology existed at the time that would facilitate pushing boulders into the bull-like shapes that frame the tomb’s entrances? Then there are the Nuraghi, stone beehive structures. 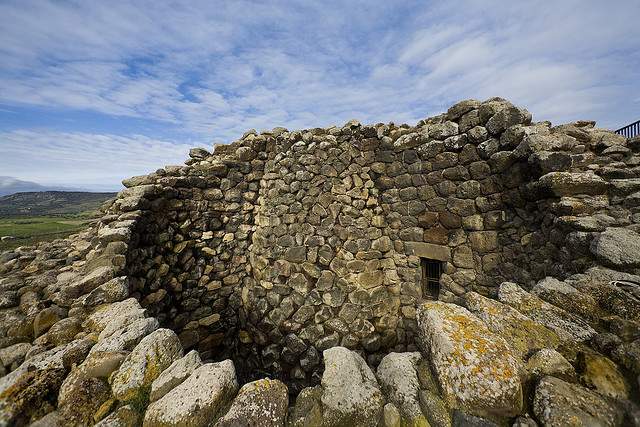 The island is dotted with thousands of these Bronze Age buildings, which range from hobbit-like burrows to 20m tall cylindrical towers that extend into a labyrinth of passages. A complex of six nuraghi, classified as a world heritage site, remains in southern Sardinia, near Barumini. 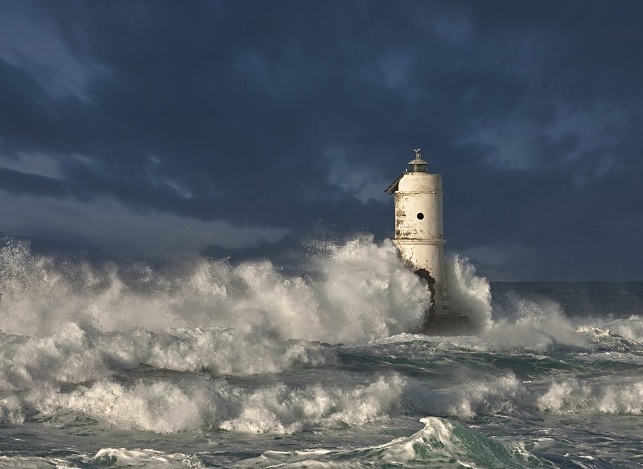 Were they fortresses, meeting halls or temples? Visitors may find it hard to pry the secrets out of the tightly wedged stones.The bronze-age figurines of chiefs and warriors, housed in the Museo Archeologico Nazionale in Cagliari, may provide clues to this pre-historic culture. Johnny Depp’s Captain Jack Sparrow would chortle with glee at Sardinia’s colorful aquatic underworld, littered with caves, coves and shipwrecks. The Coral Coast, near Alghero, is laced with a high-quality russet coral, prized by local jewelers. Nereo, the Mediterranean’s largest underwater cave complex, lies here as well. Other treasures may be hidden within the shipwrecks of Sardinia, whose fractured remains are now beaded with eels and sea sponges. Lying in the Gulf of Cagliari, the Isonzo, a WWII wreck, is so well preserved that divers can swim into the engine room, now manned by schools of fish. For more extensive underwater ruins, there is Nora, one of Sardinia’s earliest cities, partly submerged in the sea. In the 9th century, the Phoenicians used the town as a base for extensive trade, judging by the exotic variety of ceramics and jewelry found in the local tombs. The remains of Nora’s floor mosaics surface like ghosts when the tide subsides. 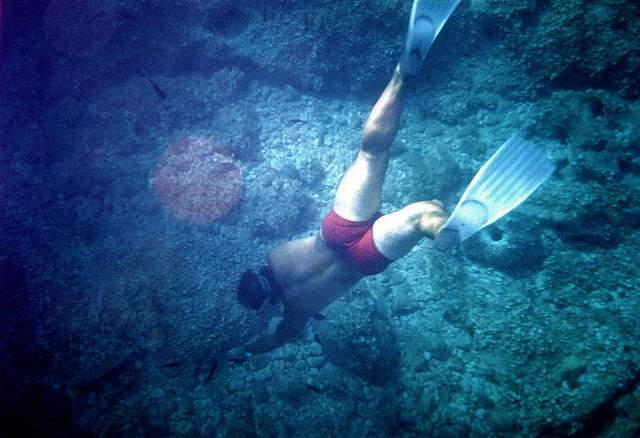 Some companies arrange diving expeditions for those who wish to explore the submerged artifacts, many of which have yet to be systematically excavated. The average number of centenarians in Sardinia is twice that of the world average. Some researchers credit good genes, while others say that the Sardinian diet and active lifestyle may add several years to life expectancy. So what should you indulge in? The local dark red wine Cannonau is particularly high in heart-protecting procyanidins. Saffron, also rich in anti-oxidants and minerals, plays a glittering role in many dishes, including pardulas, or cheesecakes. 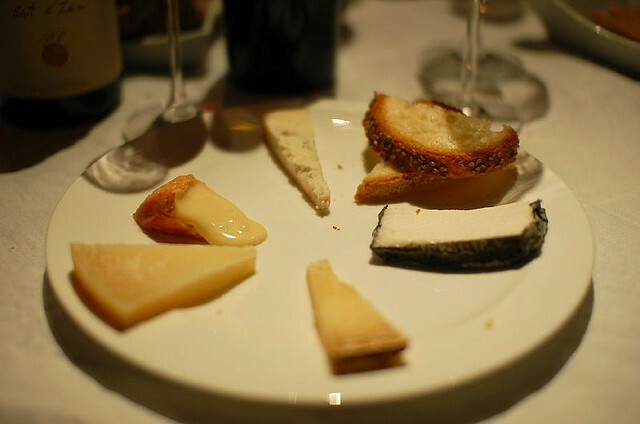 As for cheese itself, Pecorino sardo, made from the milk of grass-fed sheep, is high in Omega-3 fatty acids. Bread is leavened in the traditional way, through slow fermentation, which produces friendly, digestion – enhancing bacteria. A hearty variety to try isPistoccu, made from barley and potatoes. Even desserts may be healthy, especially those drizzled with the local specialty, miele amaro, a bittersweet honey said to have stronger anti-viral properties than some sweeter varieties. To take the culinary secrets back home with you, check out language schools, hotels and B&B’s, such as Lu Aldareddu in the Gallura, that offer cooking classes. Sardinia’s isolation has allowed its flora and fauna to evolve in unique ways. Some local species are smaller than their mainland counterparts. Other species cannot be found on the mainland at all, such as the achettas, small wild horses that roam the wind- scoured Giara di Gesturi plateau. The Isola dell’ Assinara, once a prison island, is now a national park that houses even wilder locals. The island’s inhabitants include rare, gravity-defying mouflon (mountain sheep) and shaggy-forelocked albino donkeys of mysterious origins. Another elusive creature, the monk seal, takes shelter in the Golfo di Orosei’s coves. At higher altitudes, Sardinia is a major thoroughfare for migartory birds. About 200 species, including flamingos, cranes and ducks, fuel up on the island during their spring and autumn journeys. For those who want to get directly involved in conservation, it’s worth a visit to Golfo Aranci, where Sardinia’s only non-migratory colony of dolphins is monitored by volunteers working with the Bottlenose Dolphin Research Institute. The BDRI also offers credited residential courses for aspiring marine biologists. 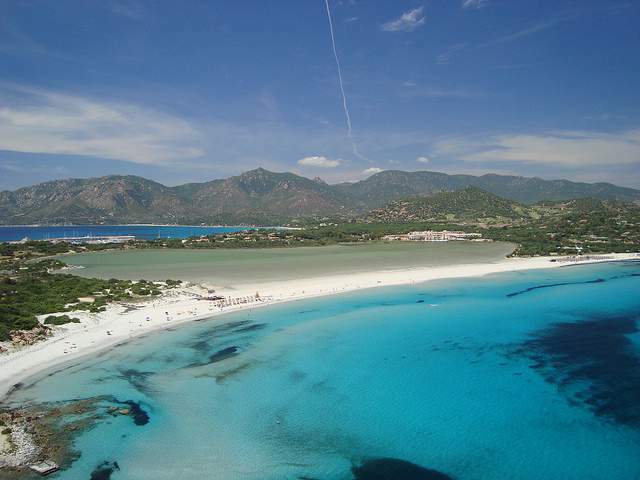 If you avoid the resorts of the Costa Smeralda (Emerald Coast) , Sardinia can be cheaper than mainland Italy. A cup of coffee in Rome, if you sit down to drink it, hovers close to 3 Euros, but in Sardinia, coffee and a croissant averages out to about the same price. City buses are comfortable, air conditioned, and at about 1 Euro a ticket, cheap. Even larger towns offer affordable options. Olbia, for example, qualifying as an important city since it’s equipped with an airport and a ferry terminal, provides a convenient base from which to explore the famous Costa Smeralda, and decent hotels can be found for under 85 Euros a night. Language schools also offer good deals on accommodation and cultural immersion. 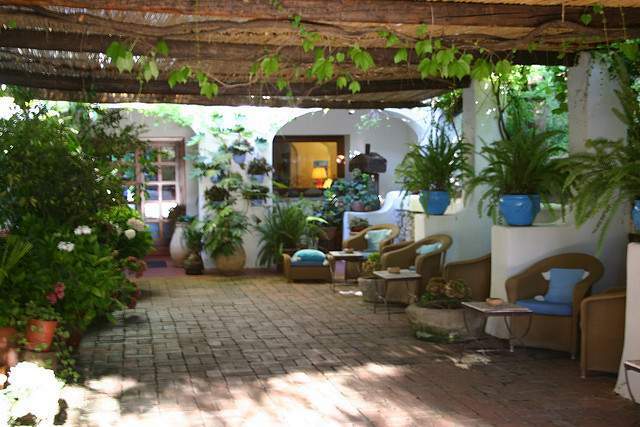 The cosy, familial Studitalia, in Olbia, offers a one-week course and a stay in a shared apartment for about 300 Euros. 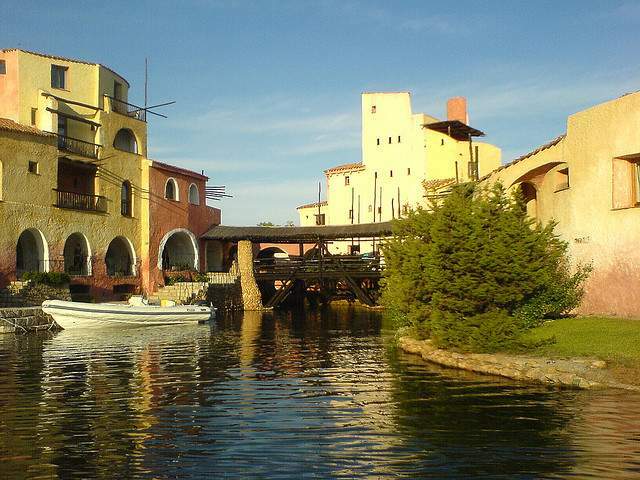 A one-week course at Pintadera with a shared apartment in the seaside city of Alghero works out to about 360 Euros. Timing is also important. Outside of high season (June to September) prices will drop, even at the busier resorts. You may arrive a stranger, but you will probably leave as someone’s friend. Since ancient times, hospitality towards strangers has held a place in the Sardininan code of honour. Even in times of scarcity, guests were well-fed. Today tourists return with stories of being wined and dined by relative strangers. Perhaps because the pace of life is less frenetic than on the mainland, patience – with lost strangers and fragmented Italian – usually prevails. One way of blending in to the colourful fabric of Sardinian life is through its many festivals. From September to October, mountain villages in Barbagia take turns hosting events that showcase local traditions and crafts. Residents actually open their doors to visitors and offer food samples and workshops. Wine is also an ice-breaker, and the autumn Rassegna del Vino Novello (Festival of Young Wine), held in Millis, provides an occasion to sample and discuss the drinks and food provided by the street-side stalls. The dazzling white sands and translucent turquoise waters of the Costa Smeralda set Sardinia’s beaches apart from the rest. While the Emerald Coast is the most high-profile, other beaches also deserve their day in the sun. The almost-kilometer long Bosa Marina, for example, was awarded “five sails” from the Legambiente Environmental Association for meeting strict standards of water quality, safety and services. 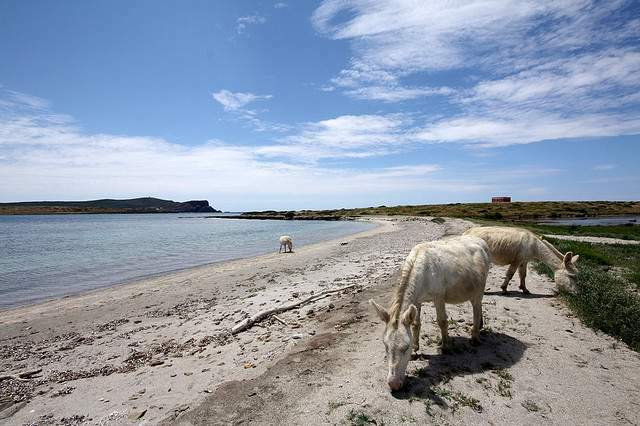 Aside from cleanliness, Sardinia’s beaches offer a walk on the wild side, literally. Many are studded with a rocky coastline and perfumed with macchia, shrubs of untamed herbs. In the East, the Cala Luna cove is backed by limestone cliffs and the Cala Cartoe is flanked by pinewoods. On the south coast, the beach at Chia hosts a windsurfing competition – and the pond behind the beach hosts traveling pink flamingos. The stars come out at night to party at the Costa Smeralda’s clubs. The Costa Smeralda itself is of royal lineage, since it was conceived in the 1960’s by a prince, Aga Khan IV, who invested in its development. Villas, golf courses and luxury hotels sprouted along the coast, but attempts at restraint were made. The introduction of non-native plants and street advertising were both prohibited, and no building is allowed within 2km of the coast. Still, this area drips with glamour, particularly at Porto Cervo, where the marina is lined with million-dollar yachts, and at the Costa Smeralda Yacht Club, where the exclusive Sardinia Cup Regatta takes off in fall. Today, fashion models, sports pros, billionaires and actors, including Harrison Ford, Julia Robers and George Clooney, stay to play. Princess Diana also vacationed here. The celebrities are often hidden among the cliffs at the aptly-named Billionaire Club in Porto Cervo, but some may venture out to Smaila’s Club in Poltu Quato E to sing on stage with the performers. Your celebrity safari should include the Cala di Volpe Hotel, backdrop to the “The Spy Who Loved Me” movie and hideaway to royal families. Celebrities of the written word, such as Nick Hornby, on the other hand, have appeared in the Barbagia region, at the July Festival Letterario della Sardegna. The four-day event features readings, seminars and concerts. Visitors may find inspiration to write about Sardinia in the bars, which stay open all night for the event.